Are you sick of running out of power? It's terrible when you are away from home for longer than expected and your phone goes flat. This has happened to me several times when I have needed to call a taxi! 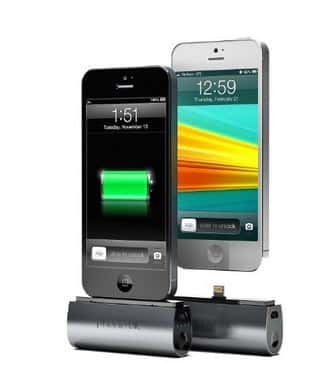 This iPhone Battery Pack can double your power so you will never be stranded again. The specially designed, integrated Micro-usb connector can fit almost any smartphone. It works very quickly so you can charge your phone at high speed anytime you need to. The iPhone Battery Pack is available in several different colors. This is important because you will want it to look great while you phone is charging ;) It is equipped with 1 Amp / 5 Watt technology, this is why it can charge your phone so quickly. A very powerful piece of equipment that is sure to make your life much easier.